Rodents have been responsible for, or implicated in, the spread of many diseases to people and domestic animals-especially in years past. Today however because of sanitation, effective drugs, and rodent and insect control programs, the disease threat from rodents is not as significant as it once was. Research in 1999 of children in inner-city areas of eight major cities demonstrated that the house mouse carries a protein within its urine that can trigger severe cases of asthma and allergic rhinitis in susceptible people. Considering that mice typically urinate in microdroplets in many, many spots as they forage about inside a room, literally thousands of micro areas on surfaces can be covered with mouse urine inside homes or schools, offices, etc., that contain significant mouse infestation. As a result of this finding, the ordinary house mouse is considered much more a health pest than in the past. Salmonella bacteria are actually common in the natural environment. Thus far, it is estimated that about 2,000 different strains (serotypes) of salmonella exist. Certain types are highly pathogenic to people and other animals and can cause salmonellosis (acute food poisoning). Tow serotypes in particular are associated with rodents and food poisoning: Salmonella typhimurius and S.enteriditis. Salmonella can thrive on decaying food , on poultry and meats, in sewers, livestock facilities, septic tanks, cesspools, accumulated garbage, and other similar unsanitary environments. Because rodents frequent these areas and then visit homes and food facilities, the potential for spread of the salmonella is real because the bacteria thrive in the intestinal tract of rodents, and hence are spread intestinal tract of rodents, and hence are spread through food contaminated with rodent feces. In the United States, approximately two million cases of salmonellosis occur each year. To date, research has shown that rats and mice may do not play a major role in the direct spread of salmonellosis to humans. In livestock facilities however, such as poultry operations, the house mouse can have significant involvement in amplifying the spread of salmonella. Rat-bite fever is caused by the bacterium streptobacillis moniliformis that can live in the saliva of both rats and mice. This bacteria causes flu-like symptoms lasting for several days, but in severe cases (which are rare), it can be fatal. Other diseases the general public (including physicians) sometimes mistakenly associate the bites of rodents with the potential of rabies transmission. But wild commensal rodents have not been found to transmit rabies. Thus, the U.S Public Health Service does recommend specific anti-rabies treatments in the event of rat and mouse bites. Rodents have been implicated with transmitting several other diseases. Lymphocytic chori-omeningitis (LCM) may be spread by mice, as has cities over the past several years. Trichinosis caused by the trichina worn, can be harbored and shed by rats via their feces into hog feed. Rats have also been shown to carry the organisms of typhoid, dysentery, and several other diseases. Rat and mice attack our food in the farm fields, orchards and livestock facilities, during its processing, storage and transport, and while it is in our supermarkets, restaurant, and homes. In this regards, the rodents have been referred to as pletoparasitic: meaning they parasitize us via staling our valuable resources. They also spoil tons of food by contaminating it with their urine, feces, or fur. The loss of food to rodents worldwide is staggering experts estimate that rats and mice destroy enough food each year to feed 200 million people. In our buildings, rodents damage doors, floors, ceilings, and walls as a result of their burrowing and gnawing activity. They also regularly gnaw on various utility pipes and electrical wiring resulting in explosions, indoor flooding, fires, equipment malfunctions, and power shortages. In addition to the direct economic losses (and health-associated costs) rodents are also expensive to control. In the United States alone. 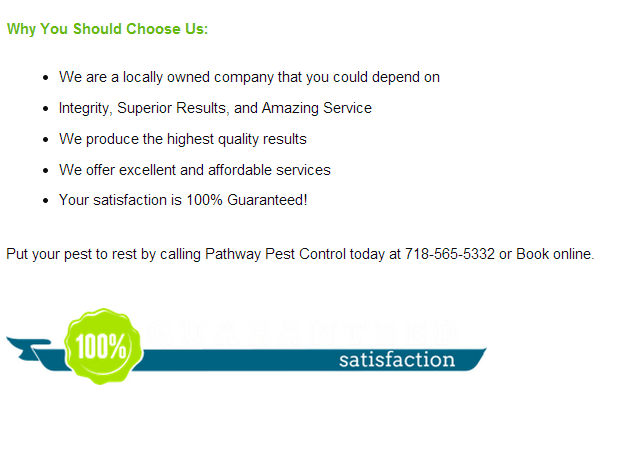 conservative annual estimates place the cost of rodent pest management programs to be well over $120 million dollars. Worldwide, the cost rodent control is probably in the billions.